HOW I RATE BOOKS – It's Lily O. This book is legendary. The characters may not be perfect, some parts of their story will frustrate you, but the greatness of the story cannot be denied. This book broke the mold and created a new standard of writing. I’m judging you if you haven’t read this book. A book with 5 lilies means that it was so good that it left me dumbfounded at the end. READ IT NOW 🙂. Four lilies meant that the book was AWESOME and I thoroughly enjoyed reading. You should read it too. Three lilies means the book was AWESOME , however, something happened that upset me greatly. I suggest you come to your own conclusions after you read the book. 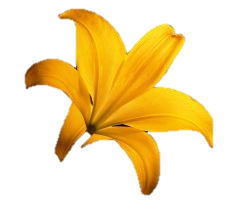 A book given two lilies has potential that was not utilized. I strongly dislike it when this happens. Read at your own risk. I was raised that if you have nothing nice to say, don’t say anything at all. So I will sit quietly, file my nails and move on to the next great read. Skip this book. Pingback: Book Review: Love’s Improbable Possibility Series | It's Lily O.
Pingback: Book Review: Brick House 2 | It's Lily O.
Pingback: Book Review: The Misadventures of Awkward Black Girl | It's Lily O.
Pingback: Book Review: The Jaylen and Jessica Series | It's Lily O.
Pingback: Book Review: Evenings With Bryson | It's Lily O.
Pingback: Book Review: Boroughs Apart – It's Lily O.
Pingback: Book Review: The One – It's Lily O.